I’m much much more a Halloween person than I am a Christmas person. I actually find it difficult to muster up the motivation to decorate for Christmas. But I dunno, maybe I’m a bad mom if I don’t celebrate the season, and I’ll cause Iggy to have issues with the holiday? I don’t want to ruin it for him by being a big scrooge. So I’ve tried to find ways to create a happy medium. Christmas trees and ornaments are not horrible in and of themselves… but any time I can do stuff different from the standard (White wedding dress? Heck no! ), I tend to do that. 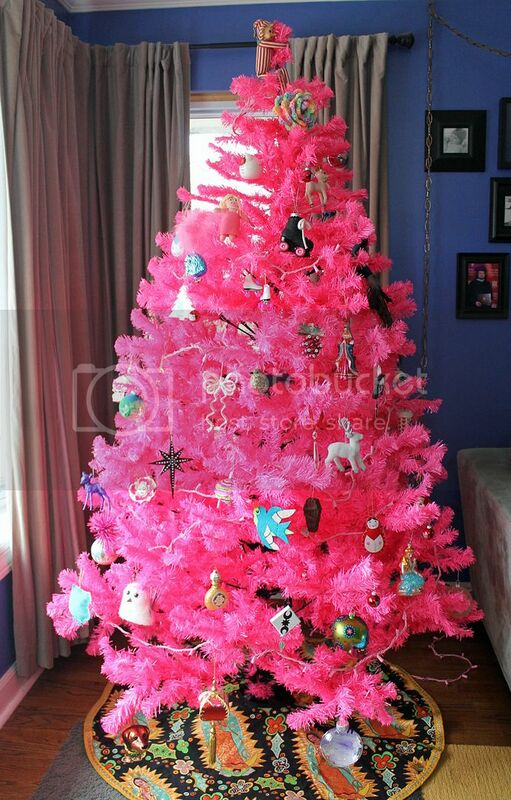 Hence, I have a pink Christmas tree, and a black Christmas tree. 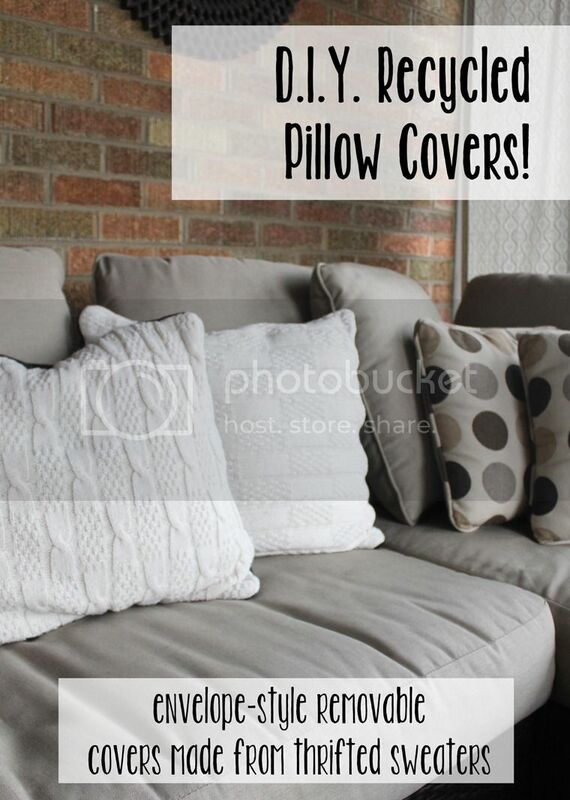 Other fun options include white, purple, or even ombre. You can find some pretty fun and snazzy trees via Treetopia.com - that’s where my black one came from. 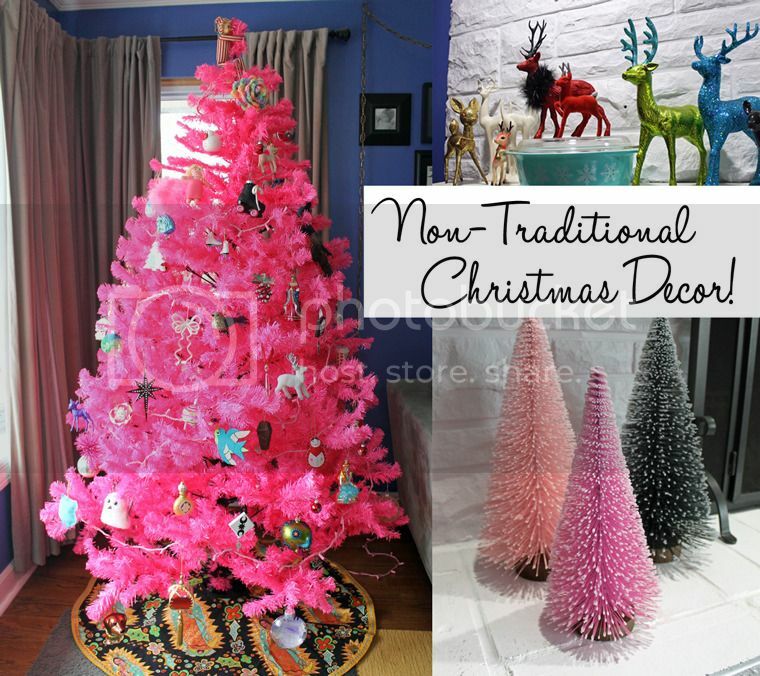 First of all, ornaments don’t even need to start as ornaments. Decorate your tree with your favorite jewelry or hair bows and flowers! Even if you do use traditional ornaments, make it a fun scavenger hunt to find the most weird or gaudy designs possible. 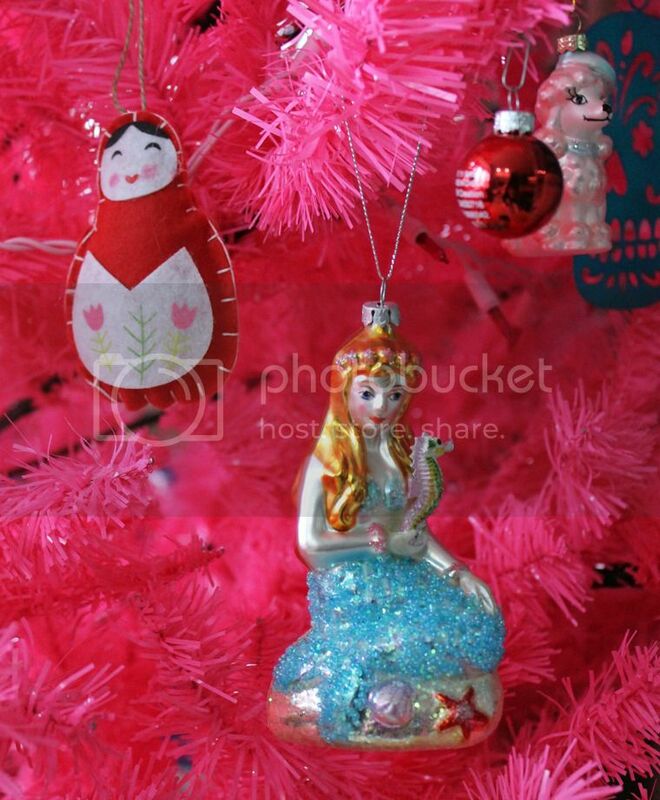 I have a glittery mermaid ornament, and a carousel horse with a giant feather coming out of the top. 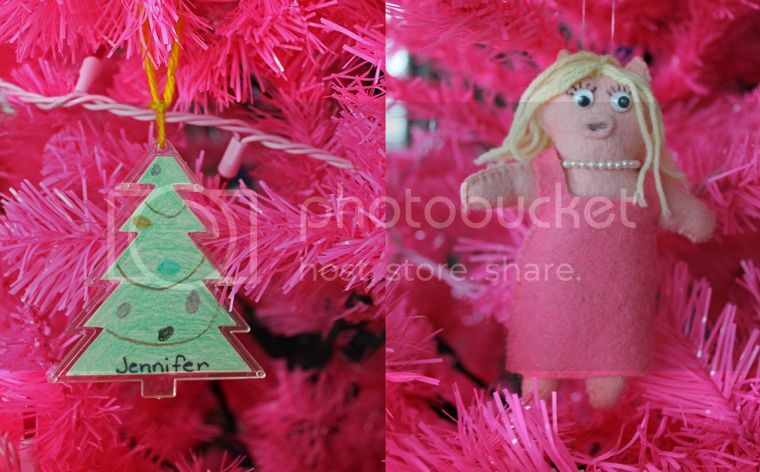 I do have a sentimental place for small handful of my childhood ornaments that are still around, like a plush Miss Piggy and a plastic tree that I colored in elementary school. 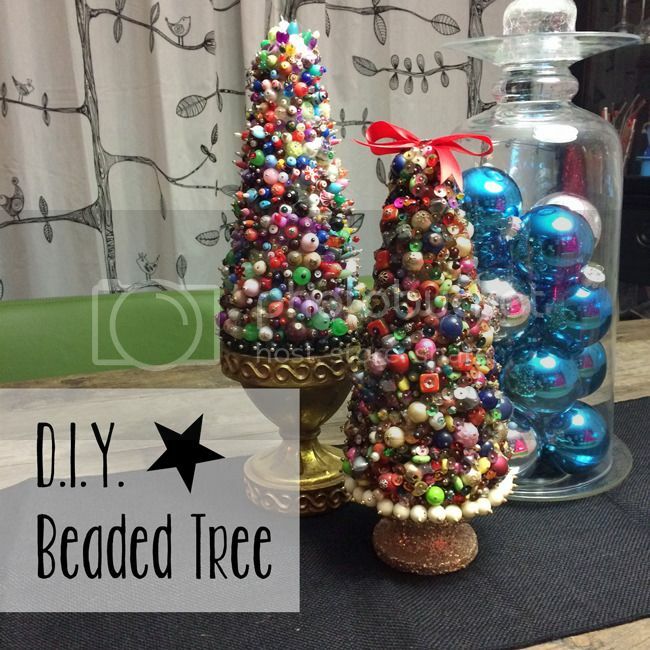 Another idea would be to DIY some unique ornaments of your own. Last year I bought mini canvases and turned them into sweet ornaments with a witchy/gothic feel to them. I think they’re great. Me? A collection? Go figure. 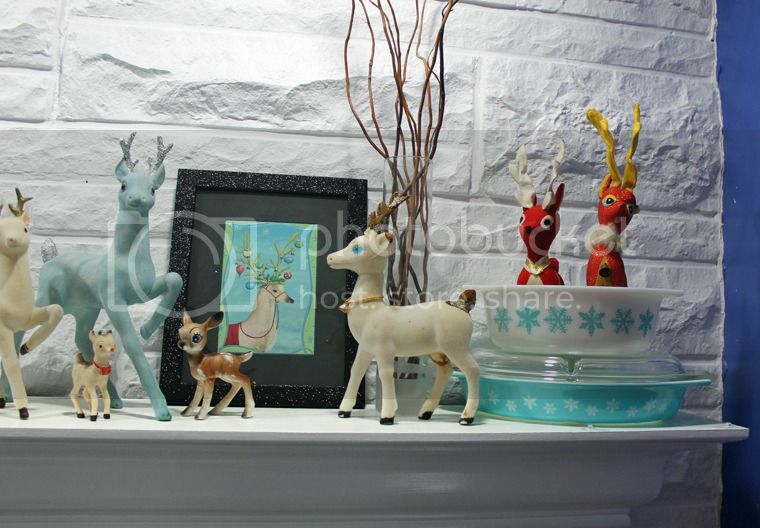 I started collecting vintage reindeer a few years back, and it has grown, as my collections tend to do. It gave me something to hunt for at antique and thrift stores during the holiday season, and now I have a pretty cool collection (not all vintage) for my fireplace mantle. I try to switch up how I arrange them each year. 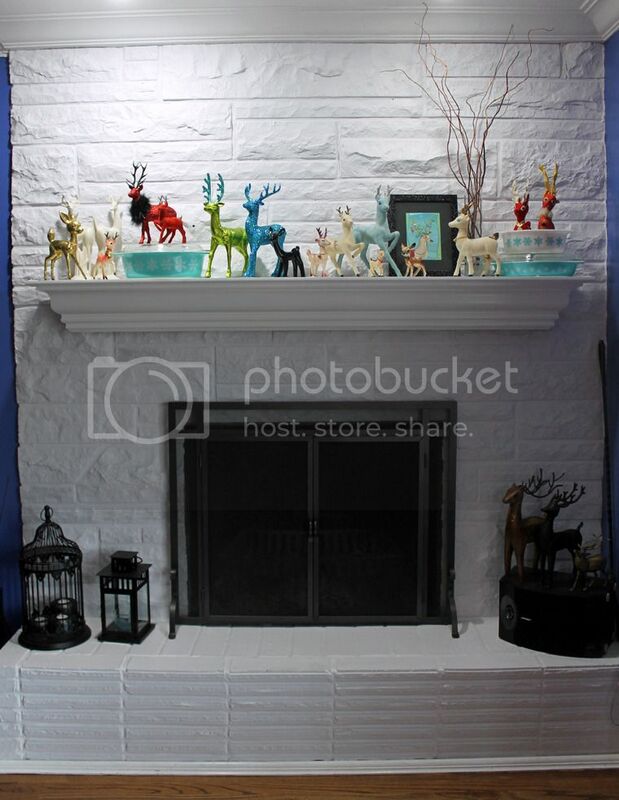 Another idea is to incorporate your current collections into your holiday decor. I grabbed all of my snowflake Pyrex pieces and mixed them in with my reindeer this year. I’ve done a similar thing for Valentine’s Day with my pink and red pieces, too. There are lots of Christmas colors besides red and green, if you decide that they are. 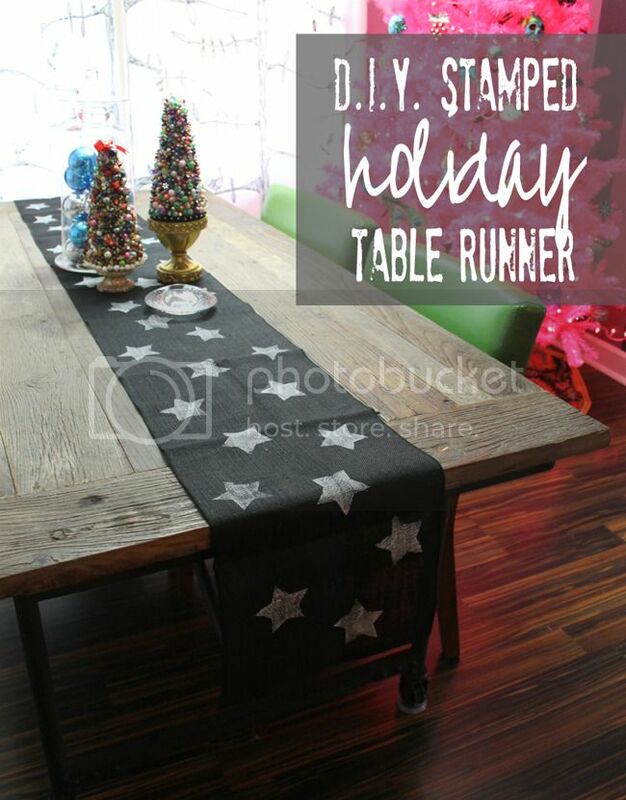 One of my favorite Christmas themes is simple black and white! My black tree has a black and white striped skirt. And let’s talk about Christmas cards. 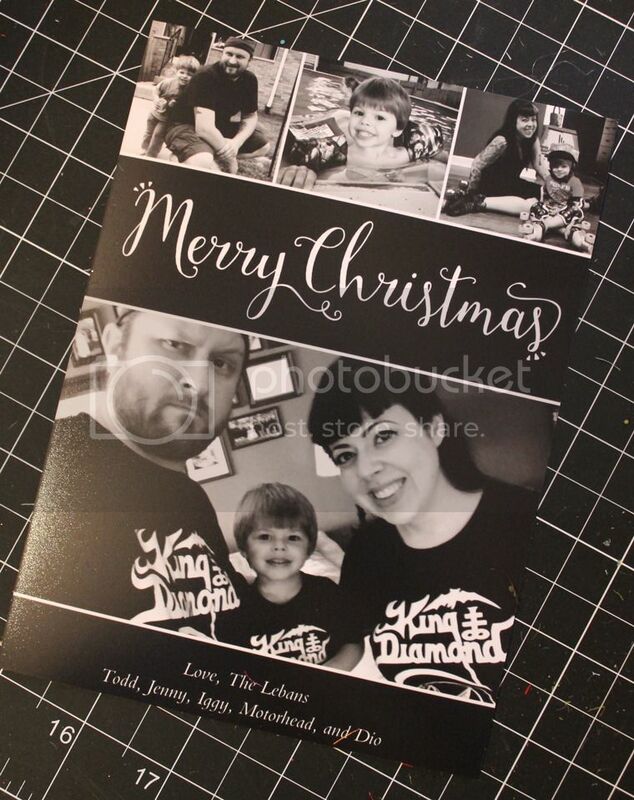 For the last couple of years I’ve turned my family photos all black-and-white for our holiday cards, and stuck to a black and white design (I use a service like Snapfish to do my cards). I like the minimalist, modern feel that it gives the cards. Seriously, most card designs are totally horrible. 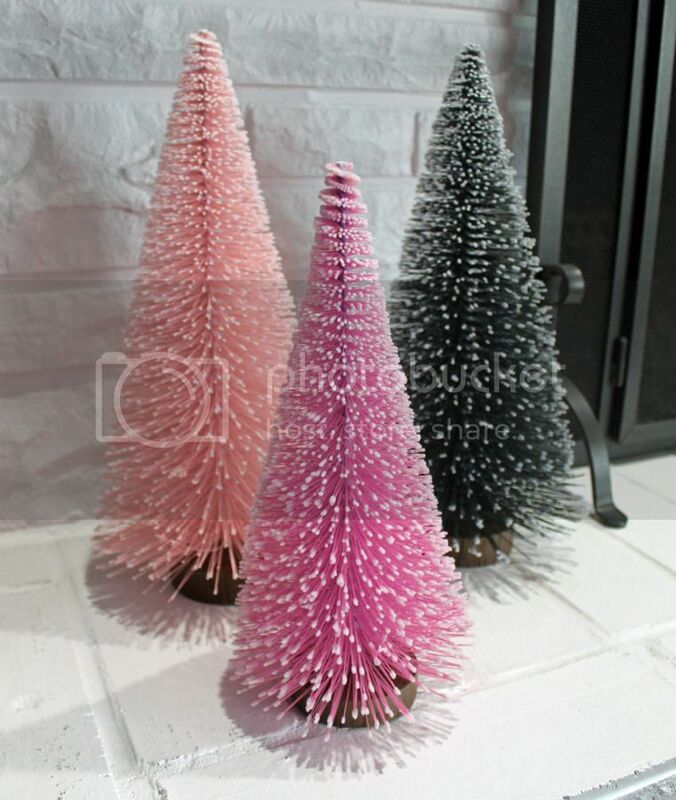 Target has actually come out with some nice holiday decor that is not red-and-green (although that DOES exist if you want it), including some really nice bottle brush trees that are offered in pinks, blues, gray, and metallic tones. I grabbed the pink and gray ones. I really hate most pine tree/evergreen scents. It makes me gag. Or those awful pinecones that reek of too much cinnamon and cloves and are placed just inside the entrance to stores so I can’t escape them. Barf. Therefore, fill your house with other smells that are way more awesome for holiday stuff. Like coffee. Or chocolate. Or chocolate coffee. Seriously though, why can’t we still smell like pumpkin? I buy up a bunch of those pumpkin candles after Halloween and just burn them all year. I made this candied nuts recipe, and they were amazing and made the house smell really good. So that’s one idea. 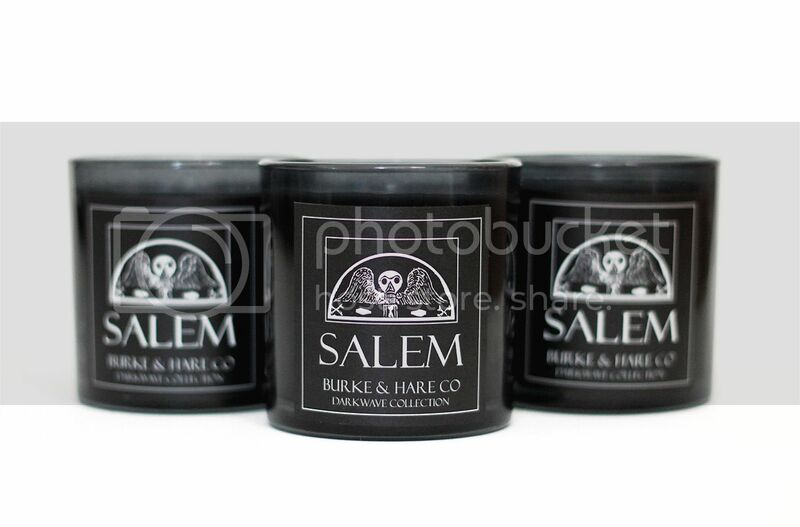 If you’re looking for something completely different, yet warm and wonderful, try something from Burke and Hare Co. - my most favorite scent is Salem, but I’ve sampled some of their other scents, and they’re pretty awesome, too. They even had one at one time named Krampus. That can’t be bad. DIY it and you can do whatever you want!